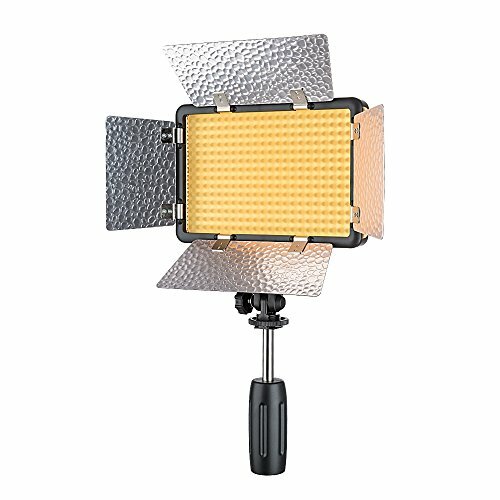 [Great Flexibility] LED308W II video light can be mounted on the camera hot-shoe, tripod, mini tripod, etc. [Lithium Battery and DC Powered] NP-970 lithium battery powered for outdoors shooting (not included). DC powered for indoors shooting. [Dimmable] Wirelessly adjust brightness. Brightness can be adjusted from 10% to 100%. [Wireless Adjustment &Grouping] Wireless 433MHz grouping system (6 groups & 16 channels). [Light Weight and Portable] weighs only 400g, convenient to cary on.